Ultra Electronics Card Systems— creator of the Magicard series of ID card printers— announced that its Prima 4 reverse transfer printer has completed the U.S. General Services Administration (GSA) Evaluation for card printers. 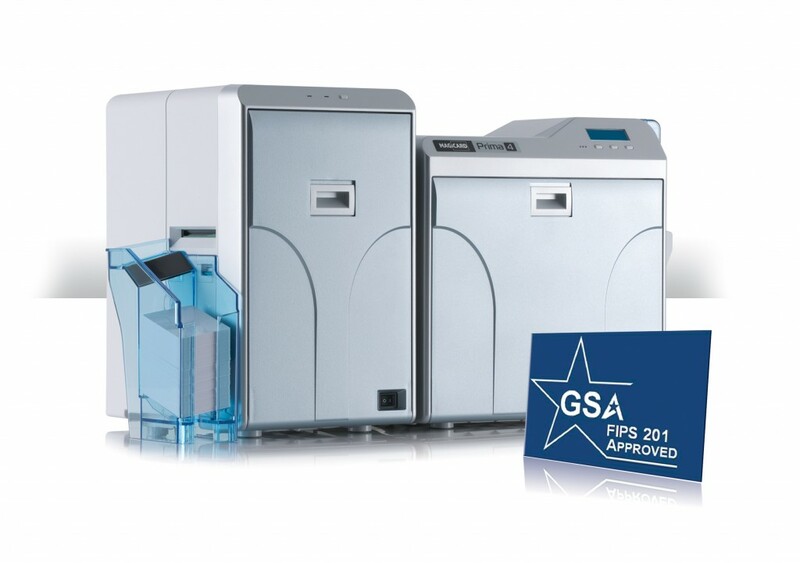 Completion of the GSA evaluation means that the Prima 4 card printer will be added to the GSA Approved Product List (APL) for the FIPS 201 Specification. Magnetic stripe as well as a range of smart card encoding options are supported on the printer, producing both standard and customized holographic print options. Reinforcing secure card issuance with a combination of inline and post-printing options, the Prima 4 uses ultra-violet images or text and can be outfitted with over-laminates for added durability and security. FIPS 201 compliance means that the printer solution can be used or secure issuance in any number of Federal, state or local agencies.